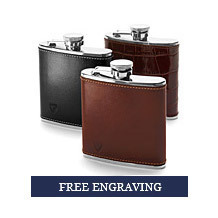 Whether an accessory for a follower of outdoor pursuits or a gift for a whiskey aficionado, a Leather Hip Flask is something to be treasured for years to come. 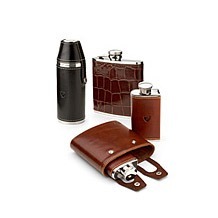 Made in our own workshops by master craftsmen, the stainless steel flasks are bound in beautifully tanned leather. 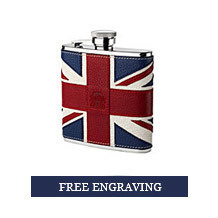 The collection features an assortment of classic hues or, for those with unique tastes, a patriotic Union Jack design. 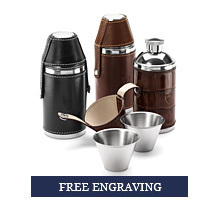 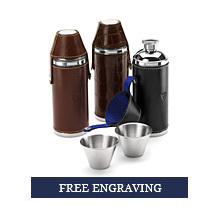 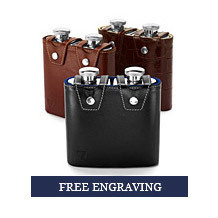 Free engraving is available on all styles, transforming any flask into a cherished gift.